Kent Davis (mac4kent) added a comment to T63317: EEVEE. 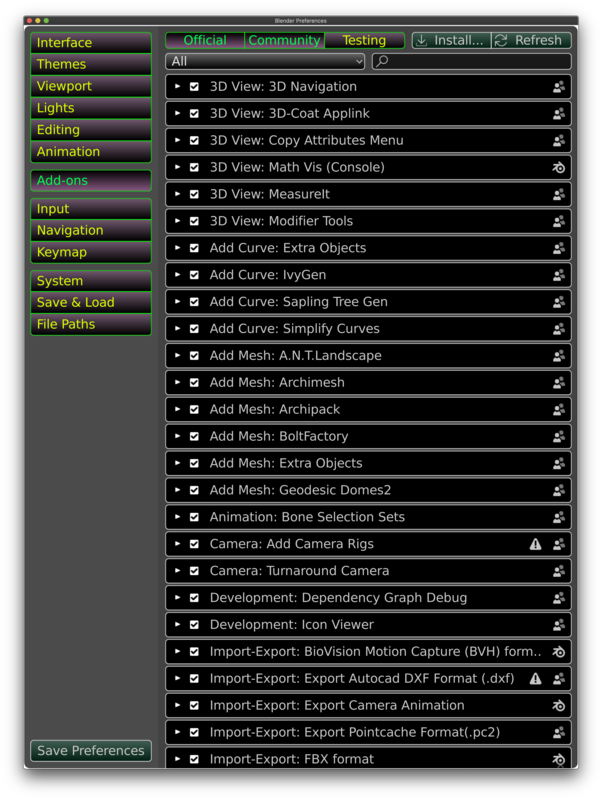 Just open Blender.app of 2.80 and click Materials > Preview. I am full deaf and I don't speak voice. Only follow where mouse is. Kent Davis (mac4kent) created T63317: EEVEE. Kent Davis (mac4kent) added a comment to T63253: AVI is available but MOV not available. Thank you for your explain me right one. Do you have Macintosh yourself? 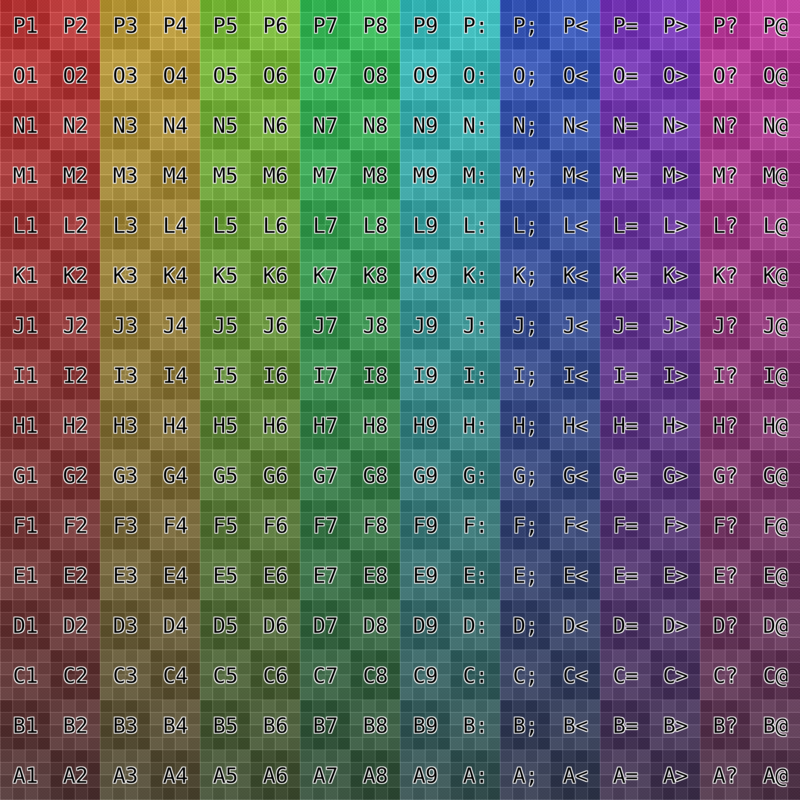 Please put back mov and mp4. FFMPEG .mkv is not support not work for Mac. Please back on .mov and .mp4 I am still stubborn to ask you again, again until fix it. iPad and iPhone just use .mp4 but Mac still use .mov many years support insert into Final Cut Pro it work and QuickTime it work still support on .mov and .mp4. Kent Davis (mac4kent) added a comment to D2333: Remove quicktime support. I am still stubborn to ask you again, again again until you put back .mov and .mp4 for Macintosh please do it. I am very frustrate they support .avi for Windows. Please do it put back .mov and .mp4 thanks. Kent Davis (mac4kent) created T63253: AVI is available but MOV not available. 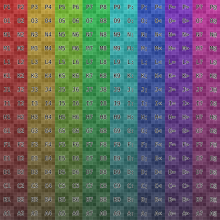 Kent Davis (mac4kent) added a comment to T58023: Shading tab on top. I am still wait for your processing. I am wait for you to process to answer and fix. @Chris Evans (mgchris) but take your time to inspect. Kent Davis (mac4kent) added a comment to T61300: UI: First Letter invisible/truncated. @William Reynish (billreynish) You may check again on Blender 2.80 daily build if you can. There has been fixed on J and L see picture I take snapshot. Congratulation fixed and 3 list is pass. @Clément Foucault (fclem) , Yes I agree with you and I will wait to see next day daily build download come soon. J and L and other letter. I just copy link and paste this here from above list. Clément Foucault (fclem) awarded T61300: UI: First Letter invisible/truncated a Orange Medal token. Kent Davis (mac4kent) added a comment to T60620: Boolean error. Kent Davis (mac4kent) added a comment to T62192: Quit cause freeze. Thank you for your explain share with us process until we found out. Kent Davis (mac4kent) updated subscribers of T62192: Quit cause freeze. so I just did delete and open then quit it work. Because of Blender 2.79b (2018) unchange since. @Jacques Lucke (JacquesLucke) , There for Mac only. Do you have your Mac yet? I have Terminal.app and how can I do that ? Can you tell me step by step and I will follow direct. Kent Davis (mac4kent) created T62192: Quit cause freeze. Kent Davis (mac4kent) updated subscribers of T61259: macOS: CTRL+R and MagicMouse. @Chris Evans (mgchris) I know you have magic mouse if you have free time to inspect above message. 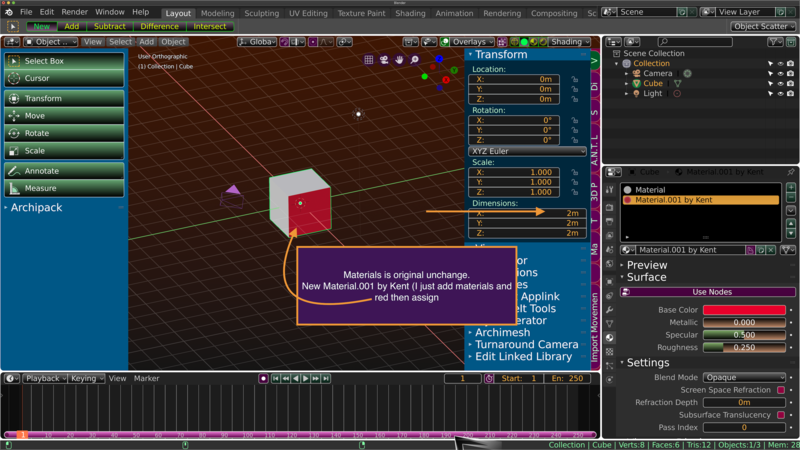 Kent Davis (mac4kent) added a comment to T61122: New Materials doesn't appear collada preview. Sigh again I forget to put texture. @Chris Evans (mgchris) I have hurt my eyes too white you take 3 snapshot. I have Usyer Syndrome ( Deaf/low vision) I unable to look up 3 pictures. 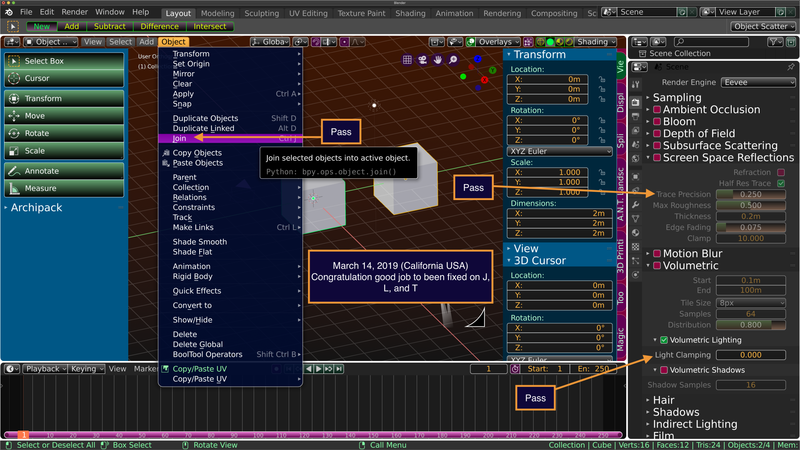 Blender 2.80 download of February 27, 2019 for Mac. Upload fail is the same texture. I forget put texture (One.png) you will need put texture because of .dae require preview. Did you see last link on youtube short video yet? Only way add materials then assist button that is all. What is principled, BSDF also I don't know where to find one. I forget one more add on DAE snapshot to show you. Yes I did already on February 22, 2019. I always inspect first download before inspect everything I did. I just click link right now from @Gaia Clary (gaiaclary) and let me check again right now on download right now. You can notice February 21, 2019 I has been download at about 4:10 AM Pacific Time. 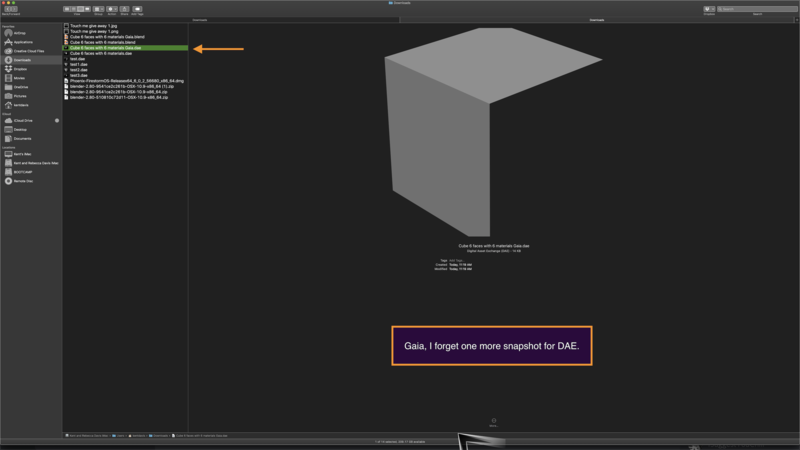 When add materials then apply make preview disappear. That what I show you on first above. Kent Davis (mac4kent) created T61760: Scene: Amaranth Toolset bug. 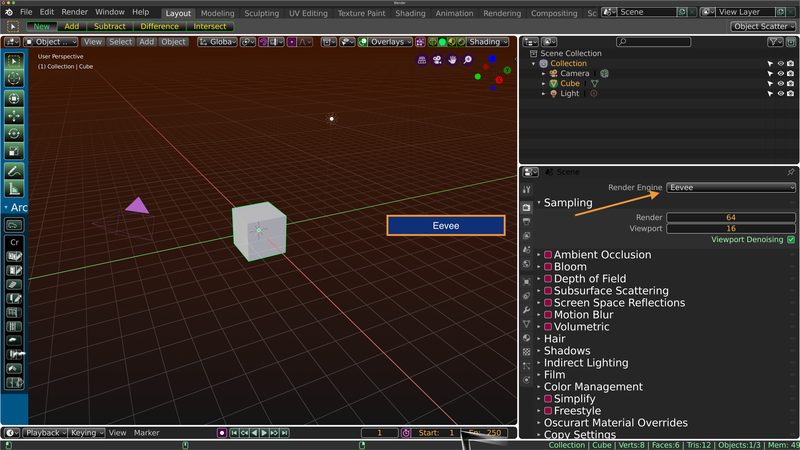 Blender 2.79b new materials can be show preview on Mac .dae. 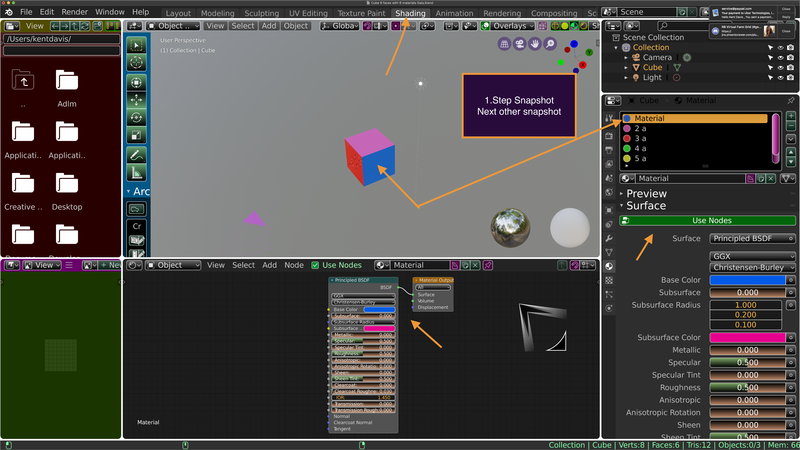 Blender 2.80 new materials doesn't be show preview on Mac .dae. Kent Davis (mac4kent) updated subscribers of T61122: New Materials doesn't appear collada preview. @Chris Williamson (chris) Evans , did you use your own Macintosh to check preview yet? 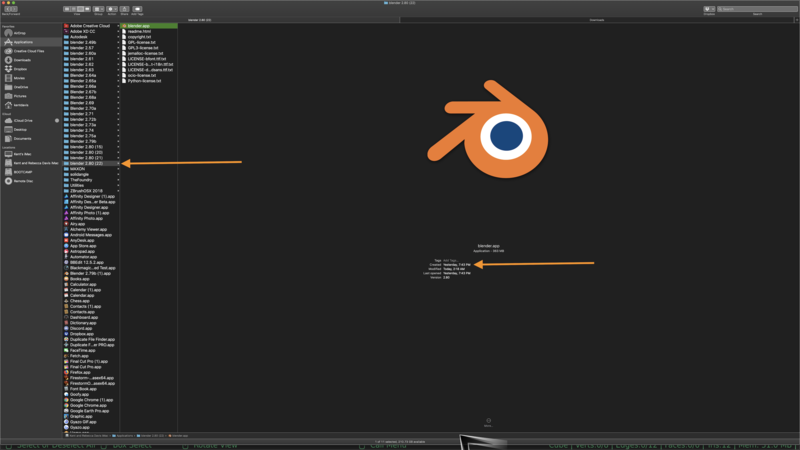 Sigh Blender 2.80 still bug because no show preview. Oh really about a thousand bug, now I understand. Thank you for explain me no problem. 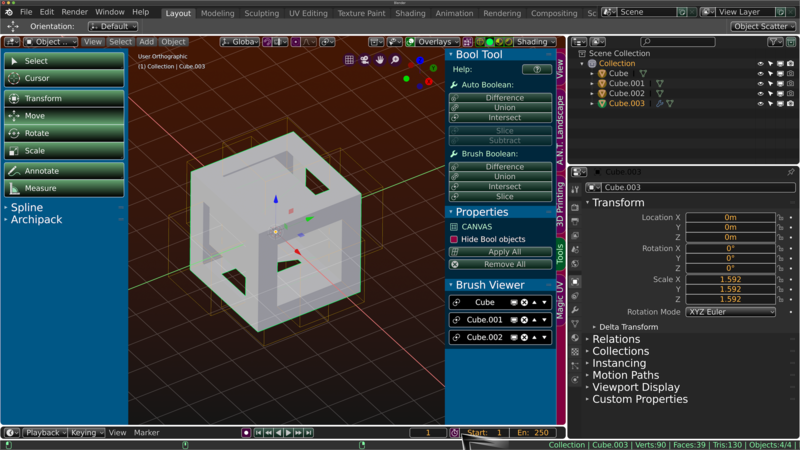 Kent Davis (mac4kent) added a comment to T61311: (Open Blender File) button crash. 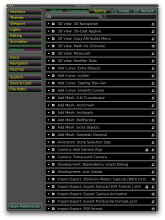 Blender 2.80 update daily build. There is ok and I inspect again, again, again few days. Now there is good work. I am still wait for your bug fix. All of you yes true true trueeeeeee. Many thanks. I just found out recent. Not worry about THEME. I think so yes Mac but some time have Windows too I guess. When drag become small text from big text cause appear "J" when become big text from small text cause disappear "J"
I show you on youtube. When you see my mouse drag please look out on "J" on Object menu you will notice. Kent Davis (mac4kent) created T61311: (Open Blender File) button crash. Kent Davis (mac4kent) created T61300: UI: First Letter invisible/truncated. Now I am wait for Blender 2.80 to fix bug. I did test still Blender 2.80 bug! 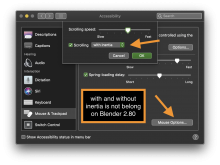 System Preferences on accessibility is not belong on Blender 2.80. I has been told Discord on https://discord.gg/buUa7S and I will wait for they do use Macintosh can tell you. 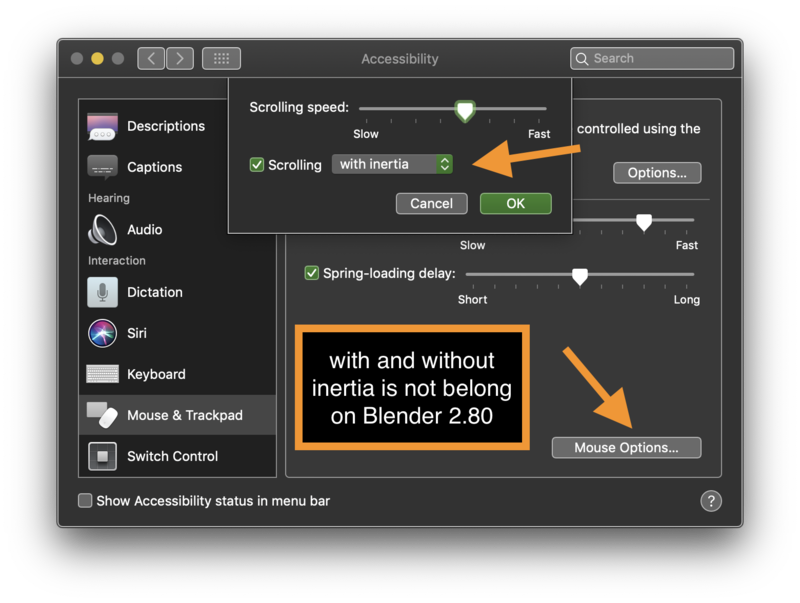 Blender 2.80 need to fix code support on MagicMouse scroll up and down. 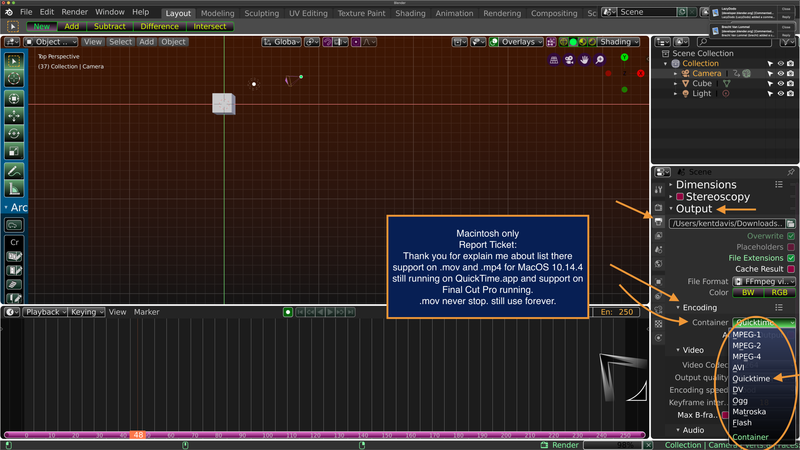 Did you already take test on Blender 2.80 on create plane and edit mode then Control+R (Loopcut) use your real MagicMouse? I am sorry I ignore it on System Preferences. Can you show me where is Edit > Preferences on keymap tab Ctrl+R = Loopcut and I will look up and get code to fix. Finger scroll down veery much too sensitive multiply edge become 1 too fast. Finger scroll up is never too sensitive 1 edge become multiply edge very hard. MacOS is not kind System Preferences Accessibility I ignore it. I knew it Blender 2.80 have bug code itself. Push the Control + R then finger move up scroll fast and fast fast fast hard to make multi edge then finger move very vvveeeeeeerrryyyyyy slowly scroll down make multi edge become 1 edge. No that is not answer on System Preferences. Blender 2.79b is fine and Blender 2.80 is bug! very hard to move scroll up and I have to finger move too fast and fast make edge add. Very so slowly down finger move down become edge to 1. Please do fix math on Blender 2.80 code. Come on please stay open. Do not make close. 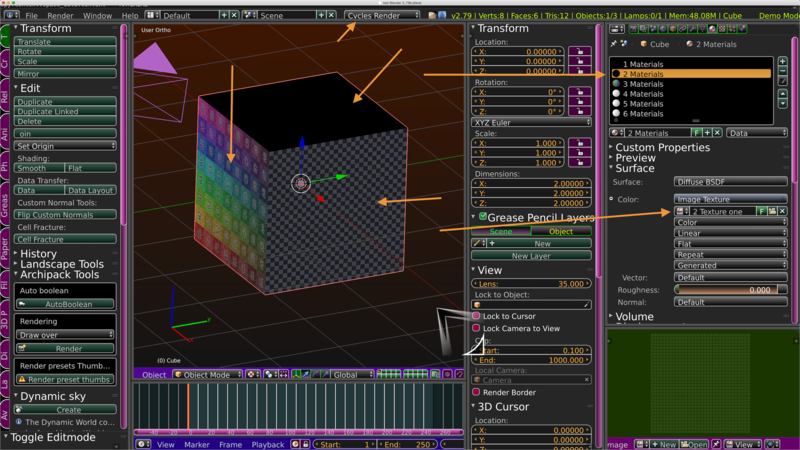 I am still stubborn to tell you bug on Blender 2.80! Yes that Blender 2.80 does. 2.79b is good work and Blender 2.80 bug. This Macintosh is fine. Need to fix correct math on move scroll up and scroll down. Kent Davis (mac4kent) created T61259: macOS: CTRL+R and MagicMouse. I am wait for you to answer. Blender 2.79b and I just create new 6 materials. 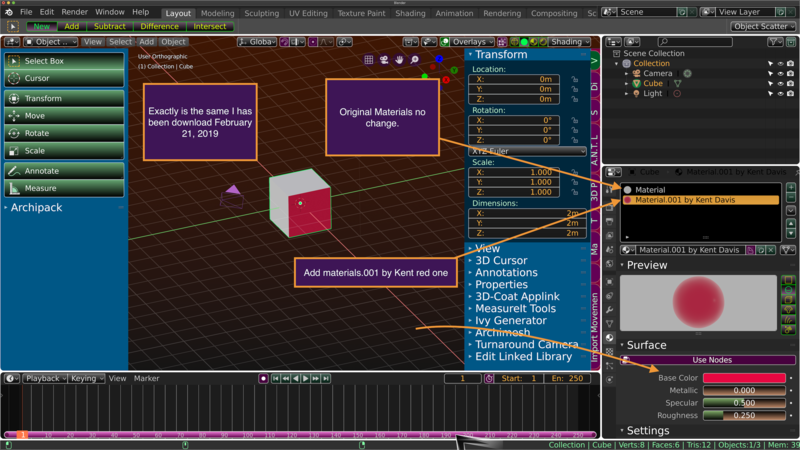 Kent Davis (mac4kent) created T61122: New Materials doesn't appear collada preview. Kent Davis (mac4kent) added a comment to T59138: Push the TAB key not work right on OSX. They fixed I am going show you youtube.